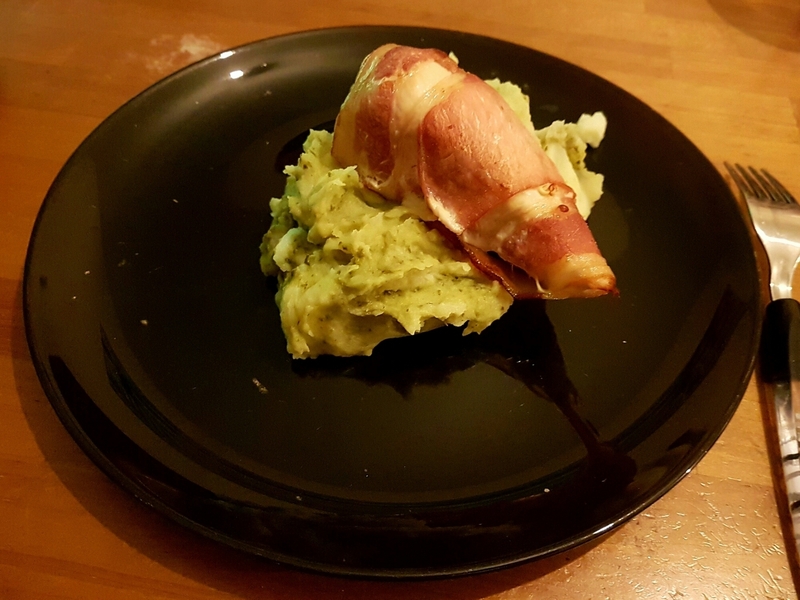 This recipe is very similar to the Philidelphia stuffed chicken wrapped in parma ham and chicken wrapped in bacon and served with mashed potato, spinach and pesto ones I’ve posted before, what can I say, I love chicken and haven’t had bacon for a while! We had this for tea Tuesday night… The inspiration for this dish was to use up some left over green pesto we had in the fridge. 😉 We often have one or two chicken based meals a week and this made a nice change. I loved the green pesto mash and may try it again with red pesto at some point in the future. Meanwhile, prepare the mash potato and add mix in 2tbsp of green pesto until it’s light green in colour. Serve the mash and add the chicken on top. That does look rather tasty. I have never tried chicken and bacon together.